Appliances included. 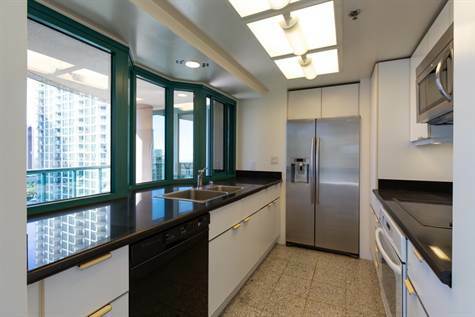 Upscale 2 bedroom/2 bath with 2 assigned parking stalls in a luxury condo with Waikiki, Ocean and Diamond Head Views. Corner unit. Private lanais surround unit. 21 guest parking stalls. 24 Hour security. Walking path. Outstanding pool and deck area, party cabana and a lap pool, hot tub 2 spas. State of the art Gym and a car wash. Perfect location. Lots of amenities in this building. For surround view, see full areal view of this building using Google Maps to appreciate this luxury building. Tenant pay electric and Cable/Internet. All other utilities and 2 assigned parking stalls included in the rent. Rent plus Hawaii General Excise Tax 4.0712%. For immediate occupancy. 12 month lease required.